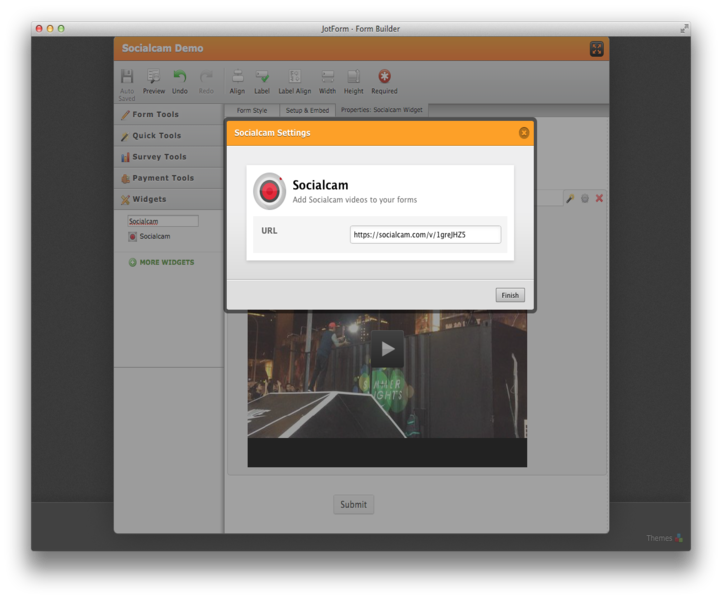 Socialcam: Easiest way to take and share videos. 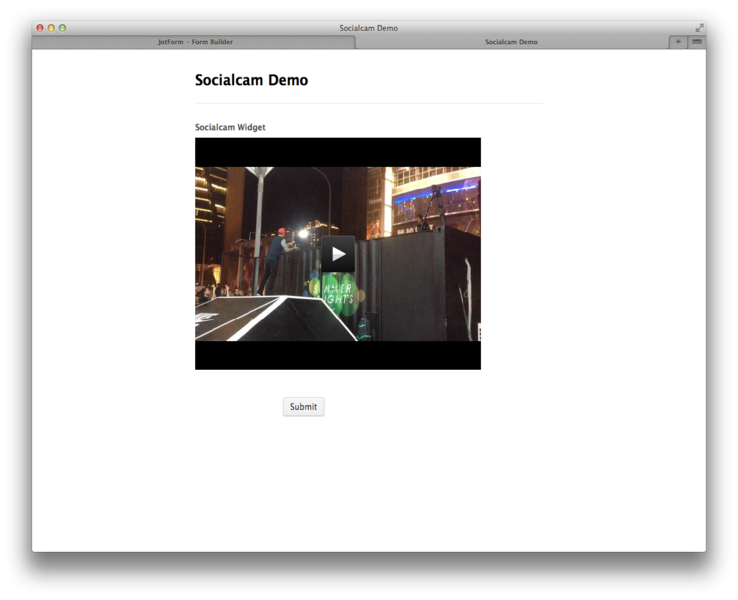 JotForm: Easiest way to create and share online forms. 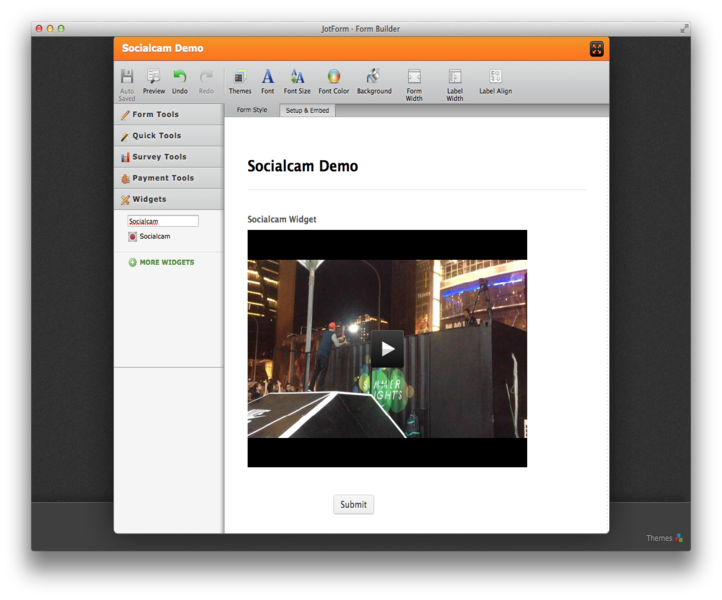 Easiest way to share JotForms with Socialcam videos.